Some thoughts about UI user interface. Mostly regarding 3d studio max, but also photoshop and other applications. The default size of pelted maps in 3dmax. a question. naturally in a unwraper I can resize everything, but as far as I know its all done by hand. So the question remains, how to make many pelt maps from many separate objects so the sizes would be very simar to these sizes of actual geometry? Unwrella is an exact unwrapping plug-in for Autodesk 3DSMAX and Autodesk Maya. It is a single click solution which allows you to automatically unfold your 3D models with exact pixel to model surface aspect ratio, speeding up texture baking UV map production significantly. 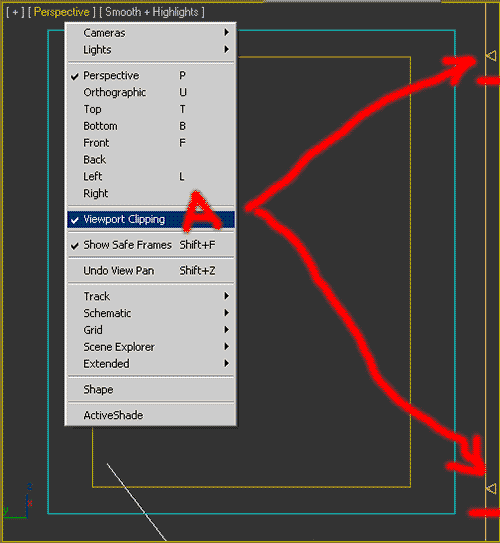 Small UI problem in viewport’s camera position while using “zoom to selected” tool. So another minor complain on 3dmax’s UI. Its sort of very minor, and in essence is just a tiny thing, but still I personally think it could, and I think should be improved. So it’s about camera (not exactly camera, just viewport) position when you are modeling. So I guess many of us, max users are using “zoom to selected” viewport tool. I use it a lot, and especially when modeling. So the situation is this. One is modeling something, and selects a couple of vertexes, which happen to be in same position. Now we can’t really see anything cos now we look at whole model. so we hit zoom to selected, and bam most likely we see.. nothing. Or just some part of our object, which has suddenly lost its shape. Its viewport clipping I guess. The zoom tool zoomed so close to selected vertexes, that max decided it’s too close and just clipped the model. Or that’s what I think that happened. Look at the pictures, or try it yourself. Not sure if it is exactly what happens, but it sure looks so. Why does max do this? 1. (in image) The clipped area that is not shown…. One proposal would be very simple. mapping not for a single mesh, but to each element of the mesh. detach these elements from single mesh, and as a result, to have lots of objects to which u can individually apply uvw map modifier. consuming work. These complex meshes are often result of importing geometry from other 3d applications. So the idea is to apply, say a spherical or box or whatever type of uv projection method to each separate mesh element without a need to divide mesh and detach parts of it. and expect that box or cylindrical map projection will do fine. and in some cases it does. selected map projection method not to whole object but to each separate mesh element. at the same time without a need to apply hundreds, or be it tens of mesh select modifiers, and uv map modifiers, and struggling and getting lost in huge modifier stack. lets look at the images below. 1. cylindrical map projection applied to a single mesh. 2. lots of uvw map and polygon select modifiers to achieve accurate projections for whole model. 4. same, but with floating toolbox for selecting each element and having ability to apply different (cylindrical, box, etc.) projection modes. apply separate uvw projection methods for mat id’s also? That could come in hand too..? Next question would be, can we use both mat ID’s and Mesh elements? Or is there an easy and fast (one button solution) way to convert separate mesh elements to mat ID’s. Or can we easily convert Mat ID’s to mesh elements? And if we where to write such tool, where would we place it? Should it be a part of edit poly modifier? edit mesh? or uvw modifier? somehow i cant finish my tiling/ rotating/ mirroring article. so while i am struggling with part 3 of tiling posts, something else…. Its my love and a curse. Well as usual I am talking about 3d max’s user interface. Its nothing less then right mouse button. Its a bless and a course. it must be so precise..
and u push your mouse so hard. And then it happens. u accidentally click right mouse button. last thing u did is gone. Dam it! On other hand sometimes u see u are selecting stuff wrong. U click right mouse button and last operation is gon. Ok sins its such an uninformative post well add some more. Ok what do I find annoying about max? Its mirror, and clone tools. Whats a problem u ask? Say I have to clone (and move) one element many times. I want to see it from very close distance to move it exactly the right amount. all the scene, not one object, to count how many copies i need. Ok I am not sure one can understand what I mean. and quite much id say. So something to consider for max UI developers. I used to love this, and now its gone. Does 3Dmax evolve or does it degrade? Planet Procedural Map. Ok, this line was just for fun, but.. There used to be such cool procedural map called planet. Ok it had its limitations. I would have liked to be able to add complicated maps inside each color slot of planet procedural map. But still, it was very good map. To me it was as important as noise and smoke. I used to use three of them to achieve very nice random organic shaders. Ofcourse it was written to simulate planet surface, but that’s, to me at least, is only one way to use it. I used it in any situation.. But now I have 3D max 2010 and I see no Planet!!?? max 2010 vs max 9, where is planet procedural map? Ok. there must be a reason why its gone. Might be its old code, somehow not compatible with some other newer elements.. So why not to rewrite it? But if someone decides to do so, lets add some more functions to it. In original Planet we have function called Iceland factor. It was probably the reason I used planet. But one can increase or decrease island factor to whole generated procedural . To all its elements. Why not to separate this effect, so we could apply it to separate elements of planet map, called colors. Now here its a bit hard to explain. Pls look at previous image and next ones. Ok, continent size and water size hardly make sense, but, common, that’s just an idea, not a finished procedural. What you think of it? Could we have water regions and land regions like well… like a groups of colors? so we could apply some stuff to a bigger regions compared to one color? Here is a text from 3d max 9 help file, describing planet material. Here they say it’s not good for bump maps, but actually I loved it for rusty, heavily corroded surfaces. Planet is a 3D map that uses fractal math to simulate the colors on the surfaces of a planet. You can control the size of continents, percent of ocean coverage, and so on. This map is meant to be used as a diffuse map. It does not work well as a bump map. Tip: The Material Editor's sample slot doesn't show the planet effect very clearly. To help get the effect you want, double-click the sample slot to get a larger sample slot, or assign the map to geometry and render the scene. Another way to preview the planet map is to use the Material Editor Options dialog to set the 3D Map Sample Scale to equal a main dimension of the object you are applying the map to. For example, if you want to use the planet map on a sphere with a radius of 20, change the map scale from 100 (the default) to 20. Continent Size—Sets the size of the fractal noise pattern used to generate the continents. Can range from 0 to 100. The higher the value, the larger the continents. Default=40. Island Factor—Sets the size of the fractal noise pattern used to generate islands and mountains. Can range from 0 to 100. At 0, the geography is very low. Higher settings create a more rugged landscape. Default=0.5. Ocean %—Sets the percentage of the planet's surface that is covered by water. Default=60.0. Random Seed—Sets the seed for pseudo-random generation of the pattern. Changing this number can completely change the pattern, even if other settings remain the same. On the other hand, a different Planet map with the same settings including the same Random Seed will appear the same. The colors in these three swatches are applied to the water areas of the planet surface. Water colors—Click a swatch to display the Color Selector and change the color. Color #1 is the "center" area of the water mass, Color #2 surrounds Color #1, and Color #3 surrounds Color #2, meeting the land. The colors in these five swatches are applied to the land areas of the planet surface. Their arrangement continues that of the water colors. Land colors—Click a swatch to display the Color Selector and change the color. Color #4 is the shoreline of the land, meeting the water; Color #5 comes next, working toward the center of the land mass. Color # 8 is at the center of the land mass. Blend Water/Land—When on, the boundary between water and land is blended, giving a hazy appearance. When off, the boundary between water and land is sharp. One thing that takes long time while working is related to procedural maps and viewports. If you have an empty scene, and one object, its not so hard to create a shader using procedural maps for it. Well it could still take time, What I what to say here is, It doesn’t take time or effort to apply a noise map in diffuse Chanel, render it all, look and continue adjusting noise size and other parameters. Each time rendering result to see the effect of your adjustments. Now its a very different story when, A. you have very complicated map. Noise, or other procedural map represent only some very small and hardly noticeable part of general diffuse map. Here is one example, say I have Utah teapot. And I what to add marble pastern, so its veins would go horizontally.. or, even more complicated, one vein should go around the opening of pot, where one adds lid..
here, u see picture (1) from viewport followed by rendered final. And 2, what I had to change to have correct alignment of marble veins.. how could I do that without rendering? Here its simple, one object, only one texture… but.. If I have a situation described in the beginning of post? 3D maps are patterns generated procedurally in three dimensions. For example, Marble has a grain that goes through the assigned geometry. If you cut away part of an object with marble assigned as its texture, the grain in the cutaway portion matches the grain on the object’s exterior. Turn on Show Map In Viewport. The map appears on objects assigned the material in all shaded viewports. Now when you adjust the map, the viewports update to display the adjustments. 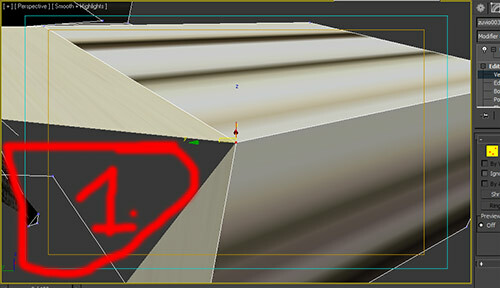 Turning on Show Map In Viewport for one map automatically turns this button off for all other maps the material has. Viewports can display 2D maps such as Checker and Bitmap. Viewports can also display most kinds of 3D maps. The exceptions are Particle Age and Particle MBlur. Also, the appearance of the Falloff map in viewports give only a vague indication of how it will appear when rendered. Show Map In Viewport is unavailable if the active map type cannot display in viewports. Displaying mapped materials in a viewport can slow performance. If you don’t need to view the texture, turn off its viewport display. Material/map browser – Non user friendliness.. So lets imagine we want to create a new material. We go to material editor, we select a type of material, and hurray, we have it. No we want to add noise, or non existing planet :) map to our diffuse canal. And we click button “none”. Nice we are in material/map browser. So far so good. Now lets count how many clicks we need to apply say, speckle map. And here we go, its not in browser, or, unless your screen size is extremely huge, you need to scroll down. That’s normal. But faster you scroll, harder to see if you reached wanted map. (some people have no problem with this) Slower you scroll, well it takes more time. (some other get annoyed). So what do we do? Simple. Same as we do in modifier selection list. So we go over menu with mouse pointer, we don’t even click as in many other programs (winch is cool innovation by max) And we hit a letter on a keyboard, and here you go, no more scrolling, you are almost at speckle map. (providing there are no other maps starting S) and there are, but still, it takes fraction of second to spot required map. Why cant we have this functionality in material/map browser? 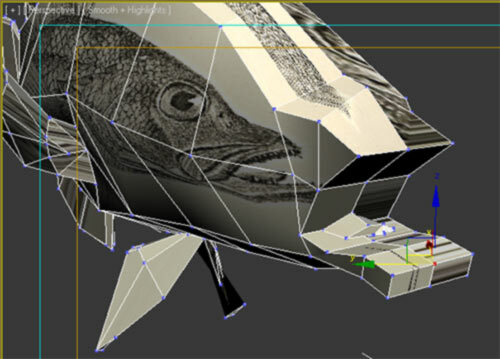 What can Program developers learn from 3D max interface? There is such a cool thing that I would love to see say in adobe photoshop. So say we work with two image sets. One is my dogs photos to add to my first ever html website, and other is a diagrams I am preparing for tomorrows presentation. I work on both simultaneously. More or less. (I edit dogs photos when my boss is in next room). So I am done with some and I am saving files. Now say I save one dog picture, then one diagram, and again dog, diagram.. dog diagram..
After I saved first image my picture editing program remembers where I saved it. And next time I save, it suggest same location. Now each time I switch from dogs to diagrams, I have to specify file location. Every time…. Now that can take years. And lots of patience. Especially looking at file destination addresses I made up above. Now you see, dialog box saves all locations where I saved things last time. Neat, eh? yes that happens. And i understand that. more complicated program, more code, more chance for this to happen. But thats not what this post is about. if that means we are risking to annoy our costumer”. But if I dont have internet??? so i see how much my processor is owerloaded. but I have to sit there and waite, staring at that small indicator, till I can finally move my mouse again. thats so annoying. is my coffee, till i hear the beep.